It’s a day Hakan Calhanoglu and Bayer Leverkusen fans around the world have had marked on the calendars for months now – and today it finally arrived. The Leverkusen midfielder’s four-month suspension from football is over. Calhanoglu’s suspension related to a contract dispute with Turkish club Tranzonspor in 2011, which the Court of Arbitration for Sport (CAS) ruled amounted to a breach of contract. The 23-year-old’s ban from all football began on 2 February 2017, meaning the midfielder missed the final 16 matches of Leverkusen’s Bundesliga campaign, plus the UEFA Champions League last-16 ties against Atletico Madrid. 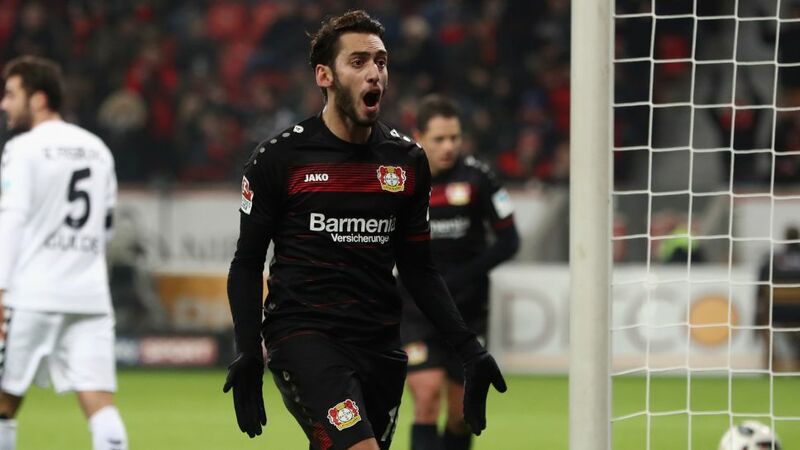 Calhanoglu had been in hot form for Die Werkself before his enforced absence, scoring six goals and assisting five in his 15 Bundesliga appearances in 2016/17. He has continued to train with the Leverkusen first team throughout his time on the sidelines in a bid to keep up his fitness. Whilst Calhanoglu is now officially available to play again, he has not been called up to Turkey’s latest squad for their friendly against Macedonia and World Cup qualifier against Kosovo due to a lack of match practice. Click here for more Bayer Leverkusen news.